HomeLearning CenterArticlesHow do you get loads of bandwidth to a plane? How do you get loads of bandwidth to a plane? Despite its relatively short existence, our 2Ku satellite internet system has quickly become one of the most popular connectivity solutions for global aviation. With more than 200 installations flying today and another 1400 aircraft awaiting installation, you’ll find 2Ku on some of the world’s most recognized airlines including Delta, AeroMexico, Air-France, KLM, British Airways and Virgin Atlantic, among others. Today, 2Ku outperforms all other global connectivity solutions, delivering speeds of more than 15 Mbps to each passenger device, and covering more than 98 percent of all flight hours around the world with 98 percent system availability. 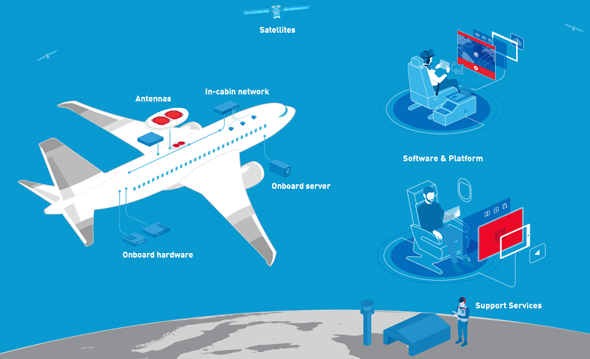 When it comes to how in-flight connectivity technologies actually deliver an internet experience that offers the same capabilities to what you experience on the ground – including the ability to stream video – the conversation often focuses on satellite capacity. While capacity is important, it’s a small portion of what we deliver to our airline partners. 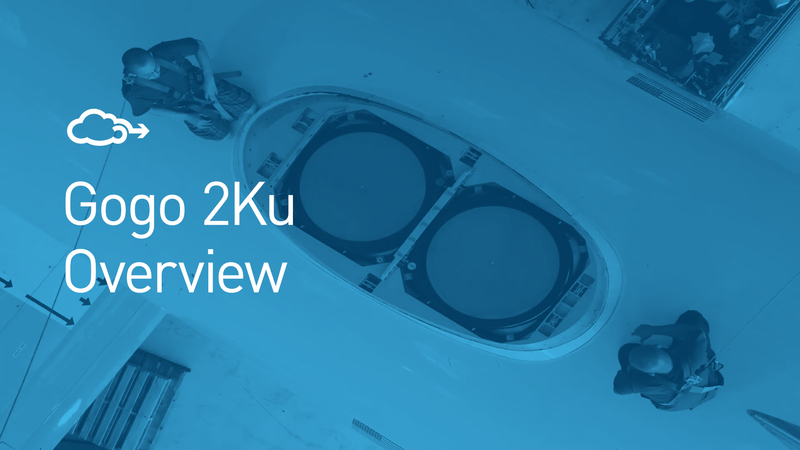 2Ku’s industry-leading performance is delivered through a combination of satellite capacity, antenna technology, and server and modem technology, to name a few. We also navigate the regulatory hurdles to get aircraft connected and keep them connected around the world. In this article, we will touch upon many of the areas that makes Gogo the leading provider of broadband connectivity for aviation. Satellite companies often measure capacity in terms of theoretical raw data available on any one given satellite. You’ll often see satellite providers quote numbers like 100 Gbps of total capacity. These numbers are typically theoretical and sometimes include bandwidth reserved for remote home internet subscriptions. It also includes capacity in areas that serve no useful purpose for aviation. Keep in mind that most satellite companies serve many markets so all the bandwidth is shared. The total bandwidth calculations of certain satellites are also sometimes made using massive backyard satellite dishes, which greatly inflates the total capacity numbers. To deliver performance, Gogo purchases capacity on satellites specifically to serve aviation and the unique areas around the world that planes fly. What’s important for the in-flight connectivity market is capacity to serve aviation. Still, capacity is a raw data measurement. You need a way to get that bandwidth to the seats in a usable way. For that, we’ve developed innovative antenna designs and a highly specialized in-cabin network that includes a modem and wireless access points. When it comes to antennas, you need the ability to capture maximum satellite capacity. Not all antennas are created equal. The 2Ku antenna is an advanced solution that features the largest phased-array antennas in the market. In fact, it’s twice as big as anything else – which means it can scoop up twice the bandwidth. The size and shape of the antenna also means the coverage and performance around the world is better. As the name suggests, 2Ku uses two antennas, one to receive and one to transmit. Both of these antennas are installed on top of the fuselage, and are covered by a single composite dome, called a radome. When we say it’s a big antenna, we are talking about its circumference. Yet it’s also very thin and maintains a low profile above the fuselage. This design means it reduces drag and, as a result, fuel burn on the aircraft. The antenna also has very few moving parts when compared to other aero antennas, which increases reliability. Between the antenna and passengers’ devices sits the modem. This is a highly-specialized version of the same modem that connects you to the internet at home. Gogo’s modem plays a key role in delivering the experiences passengers want on their devices. During a recent demonstration flight, members of the media pushed the Gogo 2Ku system to the limit, transferring over 30 GB of data in just over an hour. On speed tests, we were able to demonstrate a 112 Mbps connection. Getting the internet to passengers doesn’t stop at the modem. Once the signals are received, they need to make it into the cabin. For this key function, we have Gogo’s wireless access points. Under the ceiling panels in the airplane cabin are several dual-radio Wi-Fi access points. These access points are spaced out in a configuration that supports the number of passengers on the specific type of plane. Our advanced 802.11ac access points provide enough capacity to allow the entire plane access to our communications and entertainment products. Gogo has developed a proprietary server that sits on the plane that we call ACPU2. Think of ACPU2 as the onboard computer and, just like any computer technology on the ground, we are constantly innovating to improve processing times, increase storage and add new software features. One of the more advanced components of the 2Ku system is actually the software installed on ACPU2. 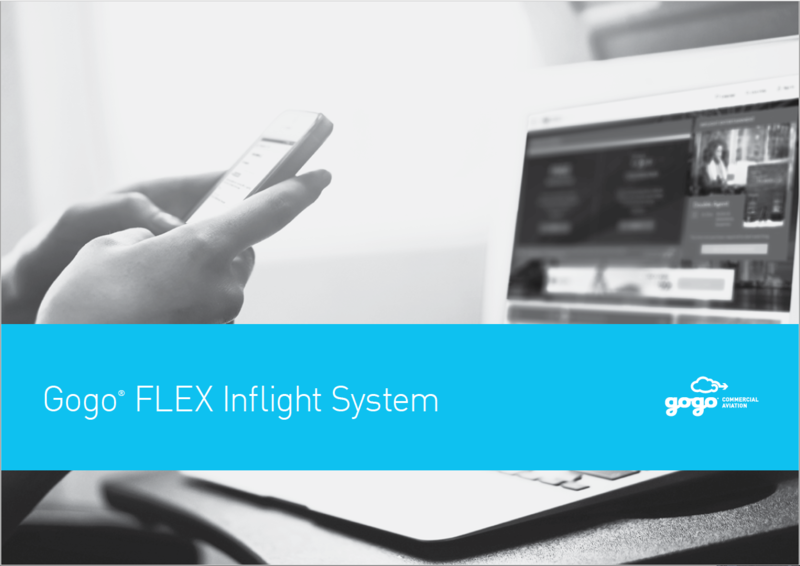 This software delivers the customized in-air experience you’ll find when you connect. This includes airline branded portals, an extensive TV and movie catalog, a live television feature and live flight tracker. The portal seen in-flight can be delivered in multiple languages, and we have the option of building in easy access to our live customer care chat feature. Its open architecture also allows partner airlines to develop innovative solutions designed to work on their aircraft. Additional software installed on our airborne server can include flight operations applications, weather and turbulence tracking, and the required software for our entertainment products. With over 3000 total aircraft flying with our global commercial airline partners, we also need to provide an extensive amount of support services. These services include obtaining the certification necessary to install the 2Ku technology on the aircraft, airline installation and maintenance around the world, and 24-hour global network management and monitoring through our network operations center. Gogo also remains the only in-flight internet provider to offer real time customer care anywhere a plane flies around the world. As you can see, a lot goes into delivering industry-leading performance. In the coming months, we will take a closer look at the various aspects of inflight internet covered here to bring you a better understanding of what it takes to deliver lots of bandwidth to a plane, all the time and everywhere they fly. 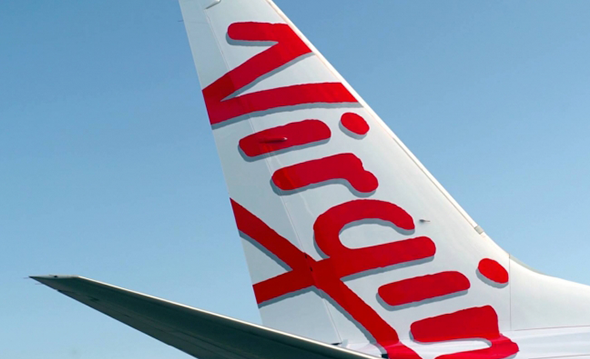 This passenger-produced video provides a quick look at the amazing speeds made possible by Gogo 2Ku technology on Virgin Australia. See it in action.